And so, we have already begun talking to our children about families who have less than we do. We have gone through our toys and both of my kids have loaded bags full of stuff they think other kids might enjoy more than them. Also, we’ve gone over their Christmas lists and discussed why certain toys aren’t good value. And, they understand a wish list is not a get list. Despite these lessons, I still want them to understand the idea of reciprocity. We give and we get. As such, we have already started making Christmas gifts for our family and the kids’ teachers. Already I’m seeing so much pride in both of them as they complete their work of art knowing it will be given to a loved one. 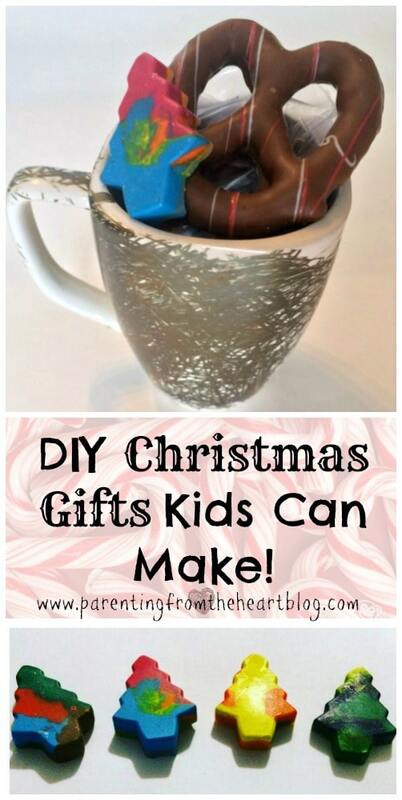 I’ve compiled some of our favourite DIY Christmas gifts kids can make. All of these Christmas gifts are simple and can be done with minimal parental input. Cut pipe cleaners to a length that will sit inside your jar without touching the glass anywhere. If the ornament touches the glass, the crystals won’t form. If you don’t have a jar big enough, cutting an empty milk, juice, or detergent jug works really well. Attach the pipe cleaners in a five or six-point formation. Add enough hot water to fill the jug or container. For every 1 cup of hot water you use, add 3 tbs. Borax. Mix until fully dissolved. Using string, attach the snowflake to a pen, stick, or hanger that will cross the width of the container. 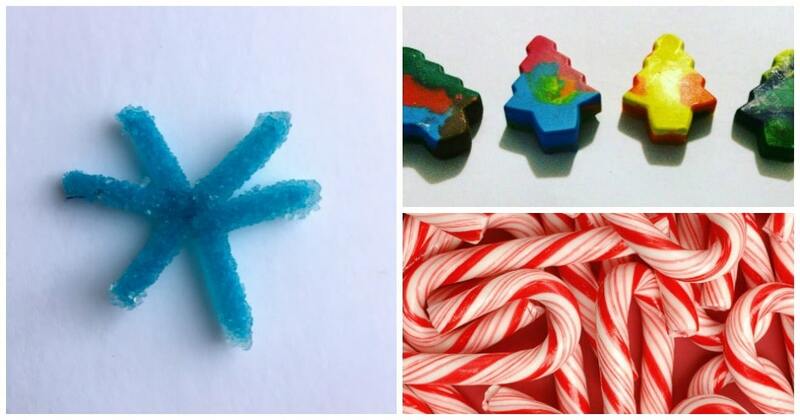 Fully submerge the snowflake in the water-Borax mixture. Again, ensuring it doesn’t touch the walls of the container. Leave the snowflake for approximately 24 hours before removing it from the mixture. Let dry and then wrap up as a gift!